Restore Blank — PopBrand Co. 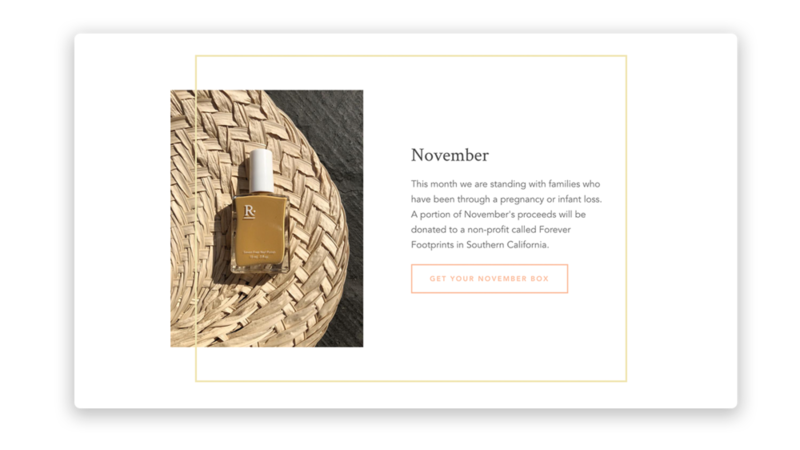 Restore Blank is a monthly nail polish subscription service for a cause. Each month they select a cause (mainly focused on women’s issues) and deliver you a nail polish to paint your nails in solidarity of the cause. It’s a way of showing support and growing awareness around important issues. Each month Natacha teams up with an artist who creates a custom postcard around the featured cause to include in every subscription box. I am honoured to be among the artist who get to contribute to raise awareness for the month of November. Natacha had mentioned that November’s cause would be about families who have been through a pregnancy or infant loss. This struck a cord in me, because my close cousin and her husband had just recently gone through a miscarriage. I felt like I needed to do this for her family and for families who are going through the same experience. The first quote was from my cousin who really gravitated to those words. This informed the feature text. I wanted to make it stand out with it’s clarity and boldness.  The second quote played a role in the imagery of waves paired with the abstract illustrations that felt fitting surrounding the topic.